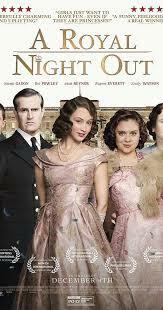 Wakefield Cathedral Film Club returns for a special screening of A Royal Night Out on June 10th at 7:15pm. Admission is free for a donation. Generally speaking I like to go into films as blindly as possible so that I don't know what I'm in for. I usually avoid trailers and definitely reviews, and so this film was definitely a surprise to put it lightly. A Royal Night Out is definitely not the crusty biopic I was expecting, nor is it dull or boring in any way. It is absurd and ridiculous but crucially really fun throughout. Watching A Royal Night Out felt to me like the classic scene in the 1951 Alice in Wonderland where Alice falls slowly down the rabbit hole. The film takes the generally accepted story that Princess' Elizabeth and Margaret went out among the unwashed masses on the night of VE day and runs wild with it. It takes the part that we know to be true and imagines what could have been if they had allowed to celebrate the end of the war at the Ritz, and the turn of events that follows is borderline surreal. I'm not going too far into the plot on purpose though, as it ought to be seen for yourself. The trailer uses the phrase "based on the untold story" but don't let this mislead you. A Royal Night Out resembles a Blackadder style bending of the truth, with every character boiled down to an instinct or single character trait. Elizabeth is 'the responsible one', who spends much of the film chasing down party animal Margaret who is portrayed almost as a Ben Elton character. She refers to herself as 'P2', and exclaims twice in the film that nobody cares what she does. While viewing the trailer for the film afterwrds I found that the moment audiences most responded positively to was Margaret asking the King "what is a knocking shop?" having been in one earlier in the film. The moment sets the tone for the entire film, its a road movie of sorts with a fair amount of good humour. One thing I must praise A Royal Night Out for is its pacing. The film feels very much like a full night out, including the slow aftermath. It starts with the set up of a fun filled evening, reached a climax around midnight and peters off into the grim light of day by the final act, fortunately without a hangover. I did feel like I had experienced the highs and lows of a good night out in just 90 minutes, which I suppose is a testament to the films pacing and trueness to its premise. The only flaw I noticed is that Elizabeth appears to be awake for over 30 hours, and nobody could look that fresh and alert the following chasing Margaret around all night, except perhaps the Terminator. Some critics have also noted that the filmmakers grasp of London geography is shakey at best, but as a grim northener this didn't bother me. 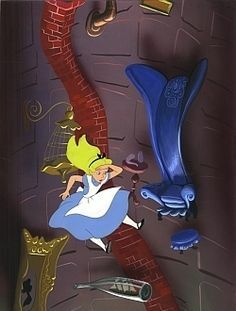 matter how far we fall down the rabbit hole they handle it well. It is only when you stop and realise that Gadon and Powley are playing real living people that the story breaks a bit, but if you accept the film as a Carry On take on events, as entertainment over anything else then this is not an issue. At some point however reality must strike. Elizabeth was around 19 and Margaret 14 on the night in question, far from Gadon aged 28 and Powley age 23 at the time of the films release. Rupert Everett and Emily Watson also put in good performances (credited only as 'Queen' and 'King'), with Watson portraying an effective comic foil and Everett playing the little devil on the shoulder in cartoons. Their scenes only seem to move on when someone appeals to George IV's insecurity about his public perception, and this simplicity makes them nothing more well rounded than plot devices, but well acted ones regardless. Once I got over the initial confusion of what I was watching, I really enjoyed A Royal Night Out. There were moments that made me laugh out loud that were supposed to, and a couple that weren't intended to. This film reminded me of a lot of the tone of classic comedy films, and this in itself is not a bad thing. What it means though is that the film is ultimately not very memorable and won't be on many peoples all time favourites lists, but it is still a fine piece of entertainment. I would recommend a Royal Night Out for a fun night out.